"In view of the said submission the petitioners are allowed to participate in the ensuing counselling, however, if they are selected, their appointment shall abide by the result of this writ petition. (ii) In case they are selected, in their appointment letters it would be clearly mentioned that their appointments shall be subject to the result of this writ petition. The above general direction is issued with a view to save the invaluable time of this Court from spate of the writ petitions on the similar grounds." Against the said order, two separate special appeals i.e. Special Appeal No. 801 of 2015 (Ajit Mishra & anothre v. State of U.P. & others) and Special Appeal Defective No. 774 of 2015 (Santosh Kumar & others v. State of U.P. & others) were filed which were dismissed on 2.11.2015 and 23.11.2015 respectively. It is stated that all the petitioners, in pursuance of their appointment letters, have joined their respective institutions. In the meantime vide order dated 10.11.2015 the appointment of the petitioners was kept in abeyance. Later on, by the impugned order dated 14.12.2015 their appointment has been cancelled. It is urged by the learned Senior Advocate that the said orders purported to have been passed subsequent to a decision dated 4.12.2015, whereby the candidates who have passed their Four-Year Bachelor of Elementary Education (B.El.Ed.) have also been found to be eligible for the appointment and for their adjustment/ appointment the impugned order has been said to be passed. It is averred in the writ petition that in entire State of U.P. there are hardly hundred candidates who possess the said degree i.e. Four-Year Bachelor of Elementary Education (B.El.Ed. ), thus there is no justification to terminate the services of the petitioners. Learned Standing Counsel appears for the State functionaries and Sri A.K. 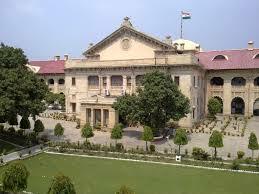 Yadav, learned Advocate has put in appearance on behalf of respondent nos. 3 & 4. They may seek the instructions in the matter. Put up this case in the additional cause list on 22.2.2016. Till then the effect and operation of the impugned orders dated 10.11.2015 and 14.12.2015 shall remain stayed.